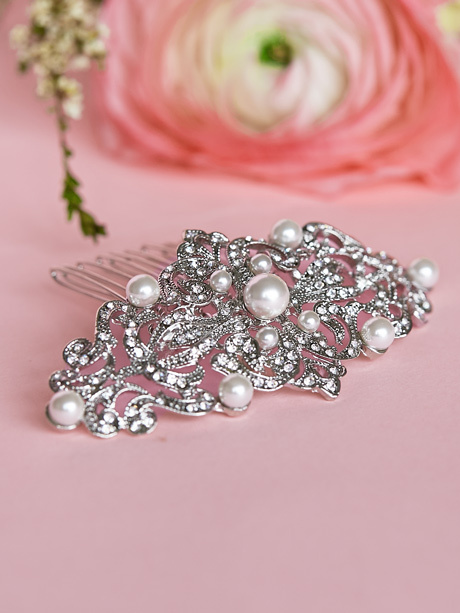 With dainty little pearl flowers through out this wedding hair comb, it has prettiness from every angle! Wear with your hair up, half up or all down. 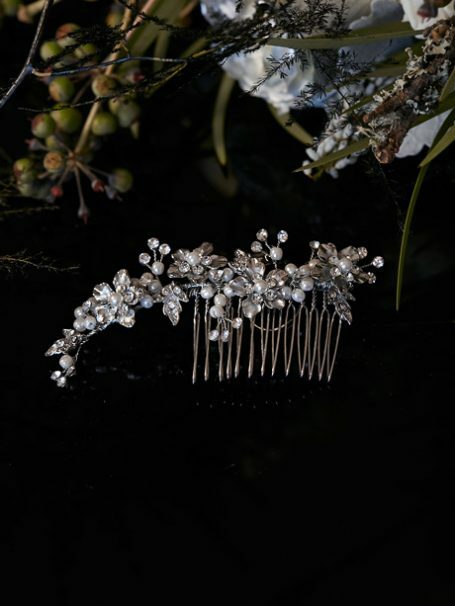 The Emma Hair comb is a classic hair piece, made from a combination of pearl flowers, diamonties, metal work leaves and flowers. Perfectly suited if you have floral lace or bead work on your wedding dress. Apart of our Halo collection, classic pieces of wedding jewellery that will last the ages. The hair piece itself can be twisted to suit different hair styles. Match with a pair of pearl earrings like our Mystic pearl drops or our Sophia Set. This bridal hair accessory will come presented in a black satin Hello Lovers Pouch. Have you thought about gifting a hair accessory. Your bridesmaids would love this thoughtful gift of bridesmaids jewellery to remember your wedding day with. 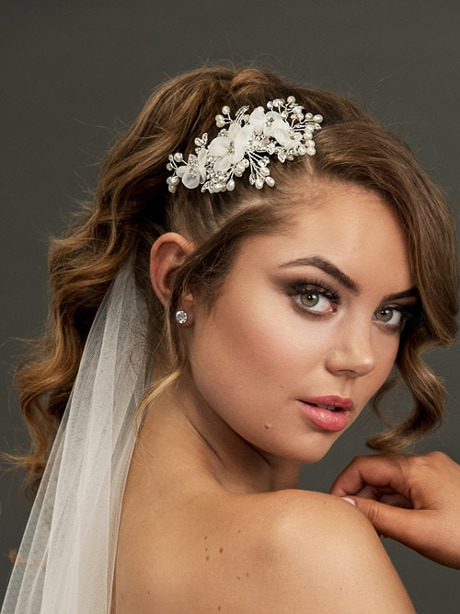 Just one of the unique wedding jewellery pieces available from Hello Lovers Australia.